[By Nick] It's Shake Sunday and I've got a couple of Southern fast food chains known for their milkshakes to cover today. We'll start by covering Cook Out and then read about Zaxby's here. 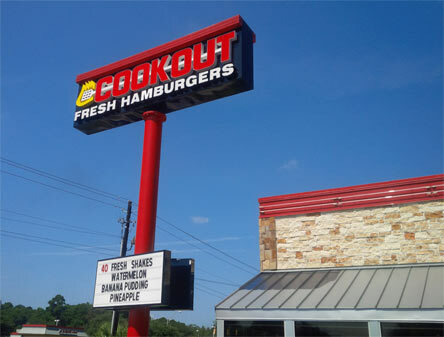 According to their website "Cook Out is a fast food, privately owned restaurant chain in North Carolina. Founded in Greensboro NC, the chain has since expanded throughout the state and into the neighboring states of TN, SC, VA, GA, and now KY with over 140 locations and growing‎"
‎We stopped at locations in both North Carolina and Georgia. Out first stop was exciting once we saw all the options we had. Seeing as it was late and we had a good amount of driving left to do, we opted to try their Mocha Shake. You know, their is coffee in it so that should be a perfect caffiene substitute. Upon first sip, this shake was thick. Very, very, very thick. It was an effort to get that first sip to be honest. However, it was well worth it. 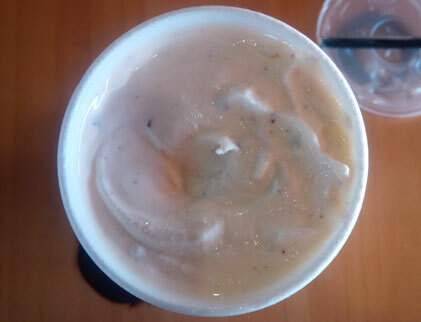 The shake was rich and very creamy in texture and consistency. The mocha flavor was mainly chocolate but had a nice roboust coffee flavor on the back end. Really, there's not much to talk about when it comes to flavor sadly. It's good, don't get me wrong and definitely satifies any mocha cravings you are having. It's just not something that'll blow your mind which is understandable. The texture makes it something to try though. Honestly, this might be the best milkshake consistency I have ever encountered. It's thick like a shake should be and the consistency shows they're not messing around when it comes to ingredients. Our next trip to Cook-Out ended up with us grabbing two shakes this time. Oreo Mint and Heath Bar. Let's go with the former first. 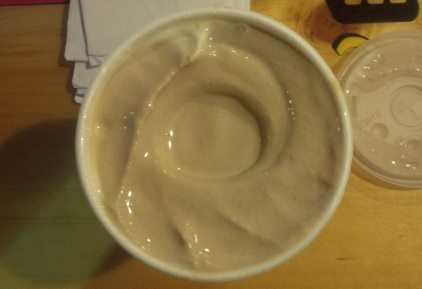 The consistency is the same with these two shakes minus the fact that these both of mix-ins. The Oreo Mint had perfectly sized bits of oreo wafers throughout it. None of them ended up getting stuck in the straw which is always a good thing. The mint flavor is a bit restraint. I'm guessing they used a mint syrup because there was a definite vanilla presence in the flavor. 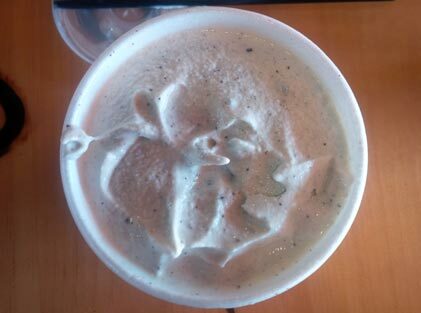 This shake tastes like a cookies and cream ice cream that has some sort of mint swirl throughout. I quite enjoyed this shake but was hoping there was more of a mint flavor. Lastly, the Heath Shake may seem like the simplest of the shakes but it was definitely my favorite. This shake was loaded with heath bar bits and they were once again the perfect size. No straw cloggage throughout the entire shake. That's saying a lot when basically ever sip had a bit of toffee in it. There's just something about the combo of vanilla ice cream and toffee that makes such a simple but delicious combo. ‎I'm curious how this one would be with a caramel swirl or with toffee bits in a coffee shake. Still, out fo the three we tried, this was hands down the best in my book. Cook-Out has a ton of shakes though so I'm sure if I had more time and a bigger stomach, I'd find another favorite. If you have a Cook-Out near you, I'd have no problem recommending them for a shake fix. If you've ever been to one, what is your favorite shake? Be sure to let me know in the comments! I am in MD and visit my best friend in NC. While I do Cookout is a must for me. Its fastfood but the pulled pork is actually pretty dang tasty. Have never really had anything bad there I didn't like. And a Cheerwine Float is a must. A few years ago during the holiday season the one near my mom had a pecan pie shake. I haven't seen it since, and no one seems to believe me when I tell them about it. It's probably for the best. It tasted like pecan pie mixings, down to the eggy corn-syrup filling, in a vanilla milkshake. It was like drinking a slice of pecan pie. Then I hit a clog, and opened the lid to stir things up. There was a whole slice of pecan pie in my cup. They are new to the Atlanta area, but I'm glad they are here. I've keep getting the chocolate cherry shake, but definitely some issues getting the cherries through the straw. There are Cook-outs in the Knoxville, TN area. The one I frequent is in Maryville, TN and the shakes are just as you described, very, very thick. They have a great meal deal that's less than $5. A great alternative to the usual fast food joints. I agree on the Heath! Chocolate cobbler is another favorite of mine, as well as the seasonal pumpkin pie.